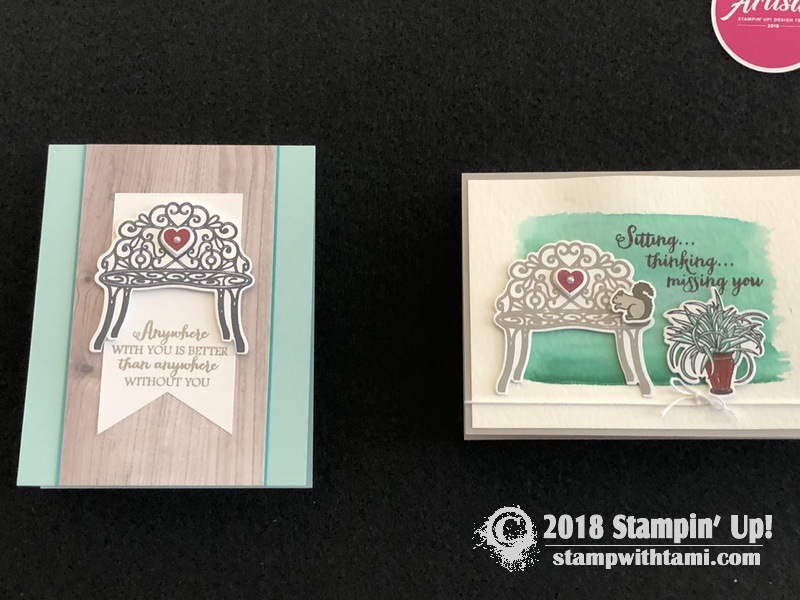 “Anywhere with you is better than anywhere without you” card is from the new Stampin Up Sitting Pretty stamp set and Pretty Park die bundle. 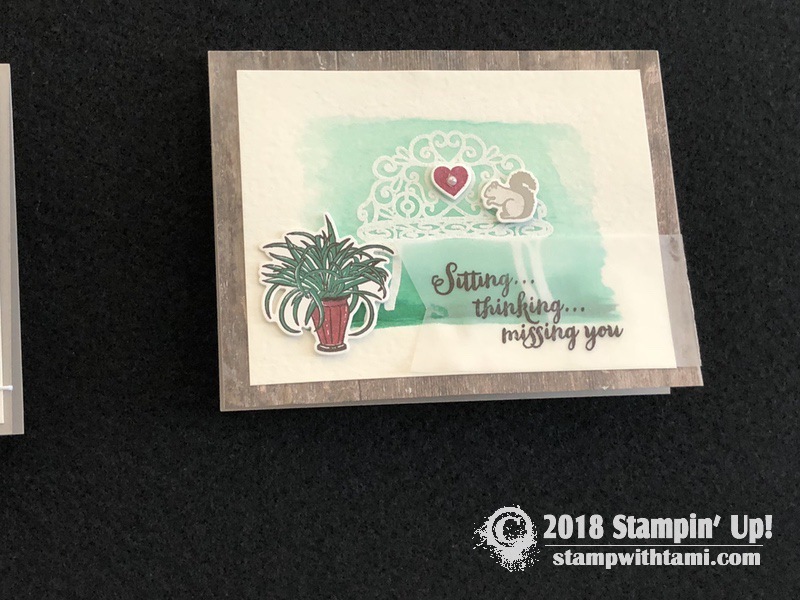 The background is from the new Nature’s Poem Designer Paper. 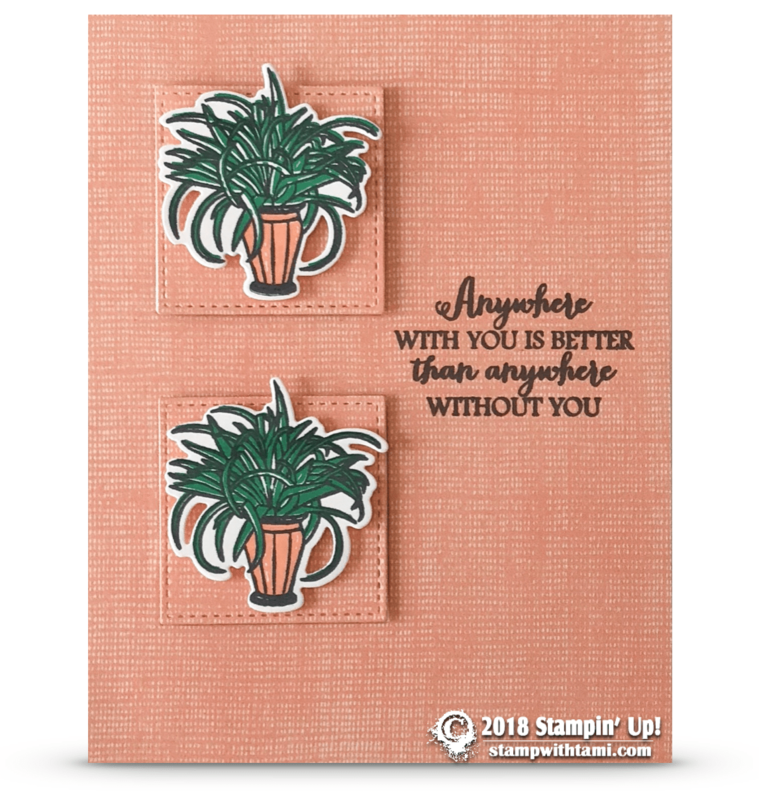 The plants were colored with the Stampin Blends markers and squares are from the Stitched Shapes dies. You can get more information on the new catalog, sneak peaks at new products and how to get your hard copy, by clicking here. Just a reminder, tomorrow (May 31) is the last day to get your retiring colors and products from the current catalog before they are gone forever.